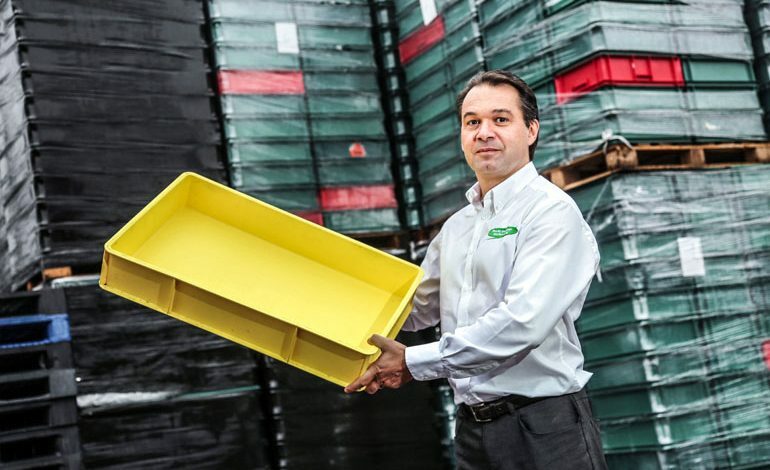 A County Durham plastics firm is hoping to increase turnover by tapping into a growing reusable packaging market which is already worth an estimated £50m. Plastic Mouldings Northern (PMN) has invested in a 14,000 sq ft storage facility which now houses more than 6,000 pallets and plastic boxes. Sales director Freddy Bourdais says it’s a fast-growing side of the business which already makes up 30% of the firm’s £2.3m sales. But he’s hoping to expand further after providing plastic storage solutions to a range of sectors and projects – including the production team of hit online TV show The Grand Tour. PMN supplied a number of plastic boxes to producers after they contacted the Bishop Auckland company with a last-minute request when they were filming in Whitby towards the end of 2016. Mr Bourdais explained: “They called us on the Friday afternoon as they were filming on the Saturday and the weather forecast wasn’t good, so they needed more outside storage to protect their filming equipment. “We supplied the plastic boxes to them on the Saturday morning and their filming went ahead as planned, so it was a great result all round. As well as helping producers of The Grand Tour, PMN has also supplied boxes to Pinewood Studios in Buckinghamshire, and over the years has also supplied more than 200 boxes to store 10,000 naan breads for the Jalsa Salana, an annual gathering of more than 600,000 Muslims held every year in Hampshire. PMN also supplies boxes to libraries, prisons, schools, food processing and packaging companies and even worm breeders, as well as firms in the automotive and aerospace industries. Mr Bourdais added: “There’s a misconception that plastic pallets are a lot more expensive than wood, but they provide a lot more protection to products which they’re storing as actually they can save manufacturers a lot of money in the long-run. PMN specialises in vacuum forming and producing bespoke packaging solutions to firms across the UK. Returnable packaging products include Eurostacking containers, pallets and pallet boxes, attached lid containers and ‘stack and nest’ solutions, as well as bespoke vacuum forming products. PMN, based at South Church Enterprise Park in Bishop Auckland, was founded by Bourdais and business partner Mark Rigg with two staff in 2002, and this year has seen turnover grow by more than 10% to £2.3m, up from just over £2m in 2016. 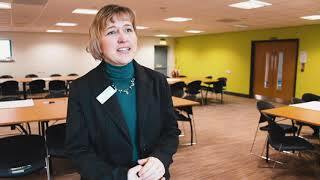 The firm is planning a £1m expansion with the aim of doubling staff numbers and sales. PMN has built up an industry reputation for supplying Jouplast adjustable risers, which ensure decking and paving slabs sit even, having previously gained an exclusivity agreement to distribute the equipment across Britain. The firm supplies DIY chains including Homebase, B&Q and Wickes, and it also manufactures parts for the automotive industry, with clients including Bentley, Jaguar Land Rover, JCB and Rolls Royce, while it has also recently supplied reusable packaging solutions to Hitachi Rail Europe. More details about Plastic Mouldings Northern can be found at plasticmouldingsnorthern.co.uk, or you can give the team a call on 01388 777 700.